I heard about this movie in the end of 2013 but I never had the chance to watch it, until now. I picked it up in Korea last December. It's a tragic story and I'm amazed how this could have happened in real life. It's a touching story, and it also shows how people are treated. As a quite experienced traveler, it's super important to pack ones bag or at least know all the content in it. I wonder why this story hasn't become a bigger news abroad! I wonder how many times this has happened before, and why authorities can be so cruel. Not all people are what you think they are. 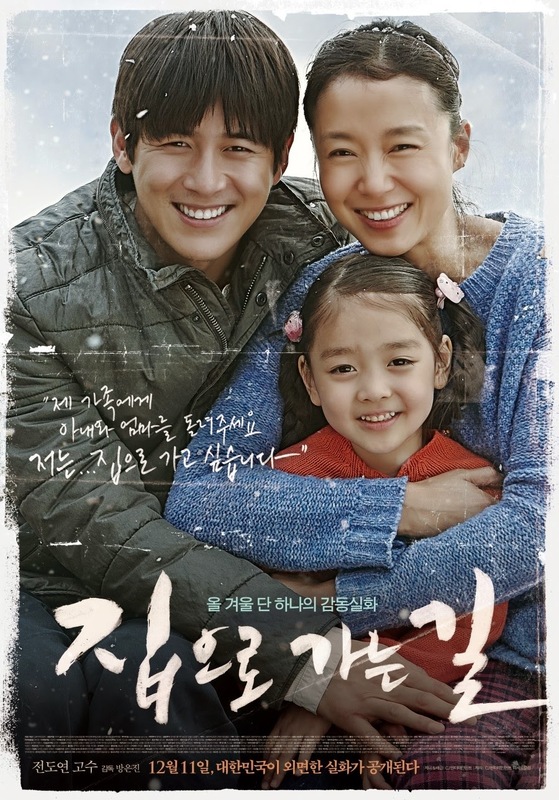 Jeong-yeon (Jeon Do-yeon) and Jong-bae (Go Soo) are a happily married couple with a young daughter; they pour their savings into an auto repair shop only to have the rug pulled out from underneath them when a friend of Jong-bae's commits suicide after he is unable to pay his loans. Since Jong-bae acted as his friend's guarantor, the debt now falls onto them. With Jong-bae gradually growing despondent following their financial turmoil, Jeong-yeon makes the hard decision to do a job for a seedy acquaintance. She agrees to deliver diamonds from Paris to Seoul, which she thought would be legal. Jeong-yeon arrives in France, but as soon as she sets foot in Orly Airport she is arrested and police discover more than 30 kilograms (66 pounds) of cocaine in her bag. Being thrown in a French jail is only the beginning of her troubles as legal wranglings and an indifferent Korean embassy in France soon see her shipped off to a penitentiary on the far-flung island of Martinique, a French territory in the Caribbean, where she is jailed for two years without being tried in court. Back in Korea, her husband does his best to get through to the diplomats and secure her passage home. Marie-Philomène Nga as "250 years old"
This blog contains a mix of writing from all over the world! Mostly about shopping, skincare, make up, food, music, travels and daily life. I was born in S.Korea but grew up in Sweden. For the past 8 years I have mostly been travelling around Asia, I have also lived in Canada for six months and S.Korea for one year. I love Tokyo, Seoul and Osaka (yes there's a difference between T and O) fashion! and always save money for my next shopping spree! Not always grammatically correct but you'll most likely get the point. Writing is in Swedish, English, Korean and/or Japanese.. I love to travel, during the last couple of years I have mostly been to Asia - HK, Japan, Korea, Taiwan, Singapore.. I love Jpop and Kpop, follow many drama, variety shows and watch many movies. @ccarollinee. Awesome Inc. theme. Powered by Blogger.